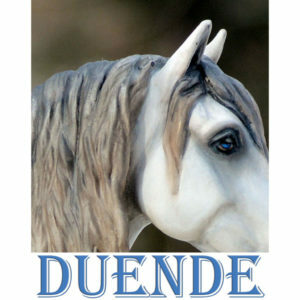 Home » Model Horse	» Duende Unveiled – Yes The Premier Club Model Got Even Better! Duende Unveiled – Yes The Premier Club Model Got Even Better! Breyer offered a Sneak Peek of Duende yesterday. Today, the rest of this fantastic new spanish hunk was revealed. And when I say hunk, I mean it! I didn’t think I could fall in love with Duende any more than I already had with the sneak peek but gosh goll, I’m totally head over heels for this one! He will be the 2017 Breyer Premier Club 2nd Release and was designed by Mindy Berg. If anyone doesn’t want their Duende will happily purchase an extra slot or two or three. I NEED a conga of this one! Thank you Breyer and Mindy Berg for offering such a fantastic new sculpt! We are so excited to share gorgeous Duende with you! Mindy Berg outdid herself with this proud, expressive piece and he’s exclusive to 2017 Breyer Premier members only! The tooling is almost finished (it’s in the last stages of what we call “grooming” – final tweaks here and there in the steel), and we’re loving how the production color is looking in Breyer paints. The prototype shown is an original painted resin and we think you are going to fall in love with him! I’m off to squee some more, for real! 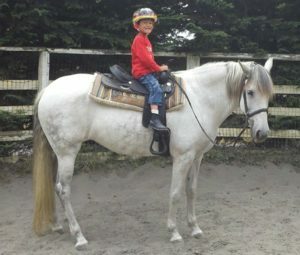 I think I’ll head out to the barn to visit Baya after Aidan gets off school! One Response to Duende Unveiled – Yes The Premier Club Model Got Even Better! 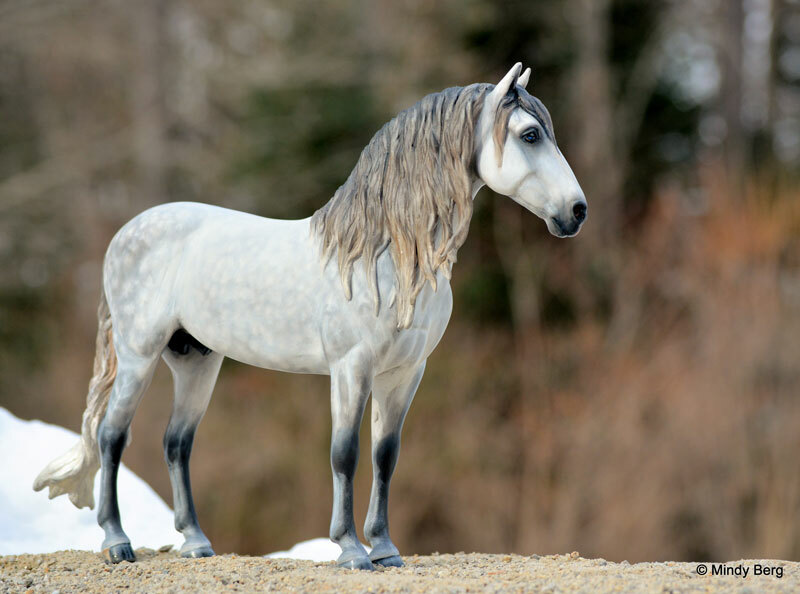 « Breyer Navya – BreyerFest 2017 Clearware Stablemate Friesian!